Sheriff's officials confirmed Robert Dewey Hoskins was found. The man convicted for threatening to kill Madonna in 1996 and who walked out of a mental hospital last week, has been located in Long Beach, officials said. Robert Dewey Hoskins, who had been committed to Metropolitan State Hospital last year, left the hospital without authorization Friday, hospital officials said in a statement. He was found after a search by the city of Norwalk's public safety department, the Los Angeles County Sheriff and the California Highway Patrol. Hoskins, 54, is "highly psychotic" and can be extremely violent and should not be approached by members of the public, police said in a news release Thursday. They urged anyone who sees him to call authorities immediately. 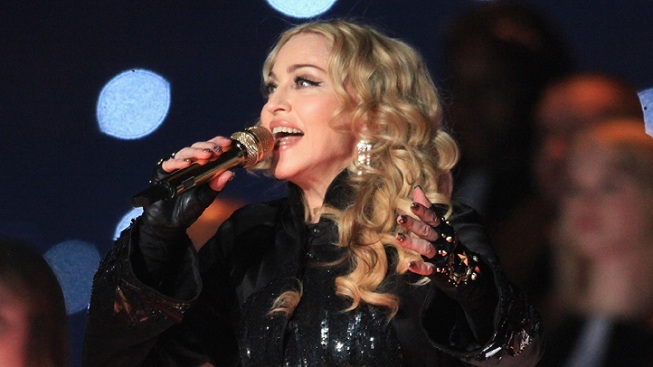 Hoskins served a 10-year prison sentence for stalking and threatening Madonna after being convicted by a jury in 1996. The singer reluctantly testified against the man, who was shot by her personal security after he jumped the fence of her Hollywood Hills home. Court records show he was convicted of vandalism in July 2011. Police say they have searched areas where Hoskins may try to go, including the city of Long Beach south of Los Angeles, but they have been unable to find him.